TAKE5 gives you an update on the latest Meetings, Incentives and Business Travel related news. It contains short and to the point information on venues, people, happenings, lifestyle and general news that cannot wait to be told! BBT Online guarantees you 15 new ideas in just 3 minutes. Enjoy our 62nd edition. With Hôtel de la Poste, Tour & Taxis introduced a new event venue in Brussels. Originally named Hôtel d’Administration, it was used as the administrative centre of the entire site. 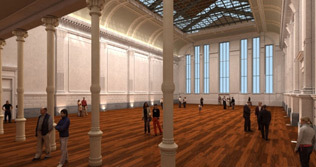 The historical ticket window hall is approximately 800m² big and can take up to 600 guests. It’s been completely refurbished and can be used for meetings, product presentations, parties and cocktails. Next to the main hall, the 300m² lobby can be found: perfect for coffee breaks or lunch during events. Hôtel de la Poste is located between the Sheds and the Gare Maritime. Available as from September 2013. World famous 3-star Michelin chef Sergio Herman sets foot in Antwerp! 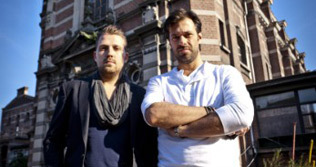 Sergio and his right hand Nick Bril chose an old military chapel in the district of Berchem for their project. The chapel is being renovated by Dutch top designer Piet Boon. If everything goes according to plan, it will open somewhere in 2013. The restaurant is aimed at the general public, so don’t expect to pay 3-star prices. It’s clear that pop-ups are becoming very popular these days. From 21 March till 20 April 2013, an old bank in the heart of Brussels (Espace Chambon, Wolvengracht 48) transformed into the Cointreau Fizz Garden. From Thursday till Saturday, starting at 6.30 pm, a playful music programme with lots of surprise acts unfolds, while guests can personalise and invent their own cocktails. The other days of the week the venue can be rented for corporate events. 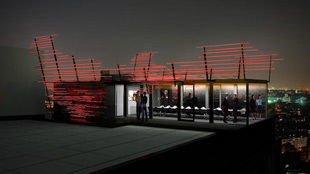 Another new pop-up restaurant can be found on the roof of the 103m high IT Tower on the Avenue Louise. From 1 May till 15 August, the roof becomes the new home of CUBE 3: a design restaurant traveling the world, employing several Michelin-starred chefs! Enjoy incredible food, with a view over Brussels from the Waterloo Lion to Brussels Airport. Open since December 2012, Gotha Event Spaces offers a special new venue for hosting private and corporate events. 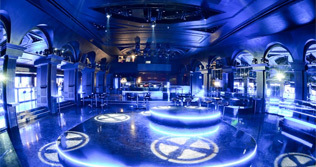 Boasting three separate event rooms including the popular Gotha Club, a total of 4000m² of space is available in the prestigious Louise neighbourhood in Brussels. 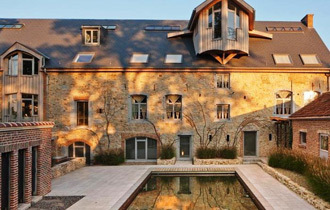 Martin’s Hotels’ Château du Lac is an impressive venue, blessed with a marvelous location next to the lake of Genval. The hotel owns several barges that can take up to 15 people for a little tour on the lake. Sipping on a cocktail, guests float gently on the water. 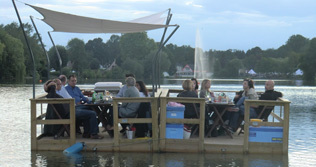 The lake is also used as a beautiful background for evening parties and dinners. Wish we were here, Belgian edition! You don’t always have to travel half the world to find exceptional venues. Nestled in the heart of the historic Citadel of Namur, an old farmhouse was reshaped with taste and passion, offering six luxuriously decorated apartments and suites, a wellness centre, outdoor and indoor swimming pool, sport facilities and a wonderful restaurant that can be used for meetings, cooking classes and training sessions. All six Ne5t-apartments are unique and are absolutely stunning to look upon. 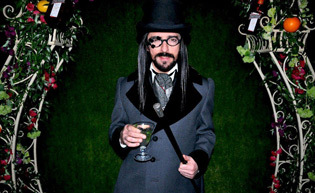 As you all know, BBT Online likes to do things slightly different. That’s why we’re not afraid to organise a famtrip leaving in two weeks. It’s spring: the best time of the year! 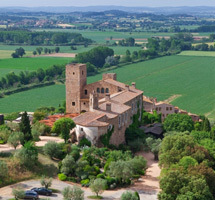 We’re offering a trip to the fantastic Hotel Castell d’Emporda http://www.castelldemporda.com/ close to Girona (Spain). Known for its exquisite kitchen (Chef Maurice de Jaeger worked at among others Oud Sluis), this boutique hotel has 38 stylishly decorated rooms. 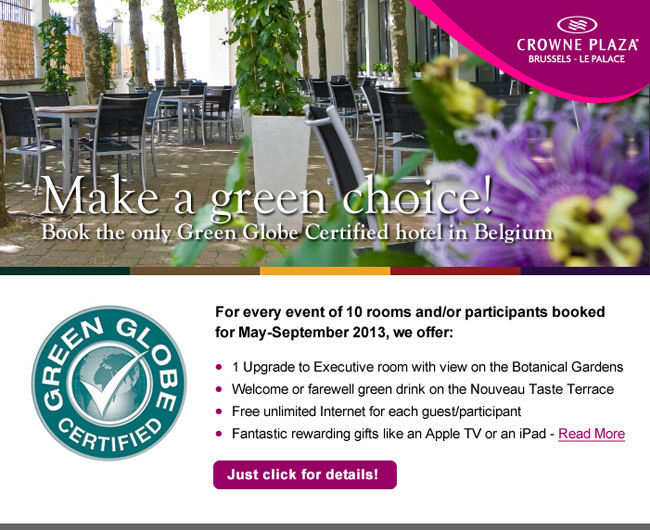 Eight Belgian incentive organisers can join us on this trip. 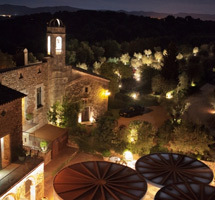 We’ll visit an olive finca, the Dali museum, the medieval town etc, and of course the hotel’s marvelous restaurant. We’ll fly with Ryanair (ticket is on your own expense, today a return ticket (!) was priced at €70 (!! )), landing in Barcelona on Sunday, 14 April, 8.20 am (depart 6.30 am). We’ll return to Belgium on Tuesday 16 April, 1.45 pm, landing in Charleroi at 3.35pm. Interested? Mail us at info@bbtonline.eu. 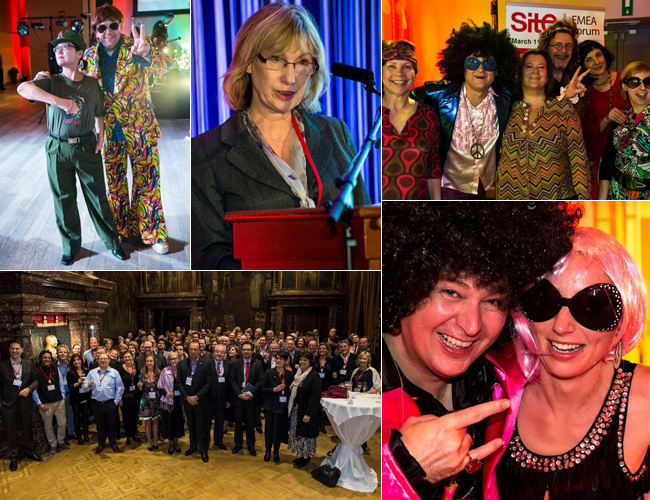 From 11 to 13 March, the city of Antwerp was home to the Site EMEA (Europe, Middle East & Africa) Forum. The EMEA forum is an annual 3-day educational and networking event providing Site members and other professionals with a chance to gain insights, attend panel debates, do some peer-to-peer networking and discover a new city. In practice, it involves listening to several varied and interesting speakers, spending the evenings mingling with colleagues and taking part in all sorts of activities in and around the host city. About 130 industry professionals from all over the world gathered in the Radisson Blu Astrid Hotel for the start of the event. As the official media partner, BBT Online was of course present as well. Click on the link to read our report. We would also like to congratulate the Site EMEA committee team, for having organised a wonderful Forum. You did an excellent job! We don't even want to think about all the hours of hard work everyone put into this. It will be a real challenge for the Dutch team to do even better next year in Rotterdam, during the Site Global Conference 2014! We were not the only ones reporting from Site’s EMEA Forum in Antwerp. MCI’s Pádraic Gilligan wrote a blog article, in his recognisable style, about what he experienced on the event and in the city. Click here to read it. 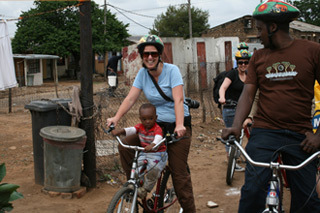 -Volunteering: AVIVA was created for volunteers looking to support local communities/projects, while still enjoying a wonderful Africa experience. www.aviva-sa.com. Not everyone likes to go camping and sleep in a tent. But if that tent looks anything like the Talisman Lodges, you get a completely different story. 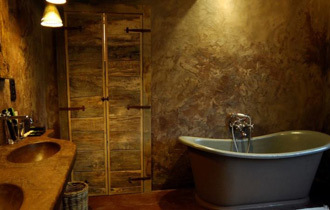 The Lodges were created by the Senegalese DMC CTA, all decorated with ethnic furniture and locally made fabrics. 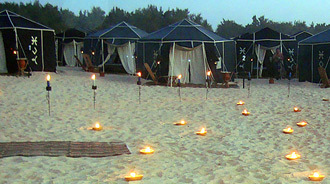 25 tents are available and they can be set up on the beach, in the Bandia Wildlife Reserve or near the Pink Lake. 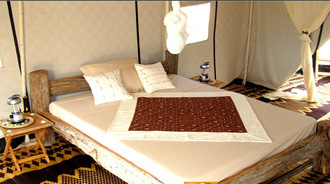 All tents come with a good bed, and a private bathroom with toilet and shower. At night, the camp is lit by countless candles. 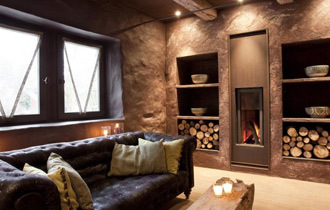 After dinner, coffee and tea are served around the open fire, while you listen to African Music. If we had the chance, we would already be there. A new season, a new Four Destinations Workshop! Join us on Monday, 22 April in The Egg in Brussels, based on the site of a post-industrial building close to the Brussels Midi railway station, for another evening of education, networking and fun! Since the crisis is still an important factor, we specifically chose budget friendly destinations for this workshop. All of them are economically interesting but also relatively unknown, new and surprising. The following partners will give a presentation: DMC-Connection.com (several destinations), Friesland, Romania and Slovakia. To register, click here! For professional Incentive, Event and PCO’s agencies only. • 16 May, Ramada Brussels: BATM Forum. One of the topics will be the EU’s new Passenger’s Bill of Rights. You can find the proposition here: http://europa.eu/rapid/press-release_MEMO-13-203_en.htm. • Despite a difficult 2012 for the tourism industry, Brussels is very much holding its own. The Brussels-Capital Region welcomed around 3.2 million visitors in 2012, adding up to around 6 million overnight stays. This figure matches that of 2011, a year that saw a 7.5% increase over 2010. It is worth pointing out the 3% increase in overnight stays by business visitors. "Overnight stays by business visitors rose by 3%, which bodes well for Brussels’ economic credentials. Brussels is therefore managing to steer a path through the crisis and securing the stability of overnight stays," stresses Christos Doulkeridis, Brussels’ Minister of Tourism. • The European commission published a big tender related to the events, congresses and meetings it organises. The EC is looking for propositions that contribute to the development and implementation of their communication campaigns, as well as the organisation of events. The estimated budget of the events deal would be no less than € 28 million. The communication component is worth €12 million. Interested event bureaus can present their proposals until 8 April in Brussels, addressed to the ‘Strategic Policy section of the Institutional Relations and Agencies of the EU’s Directorate-General of Home Affairs’. What’s in a name, right? • GenieMobile (www.geniemobile.com) announced the launch of Meeting Manager, a comprehensive tool providing event organisers access to a range of one-to-one meeting programmes that can be delivered at events, improving the experience and added value of attendees. • Grieving relatives worried that their loved ones will not attract enough mourners at their funeral can now bump up the numbers by hiring 'professional sobbers'. A growing number of people are hiring out their services at £45 for a two-hour ceremony - and as well as attending the funeral they will weep and talk to friends of the deceased. The trend started in areas such as the Middle East and China, but the rise of multiculturalism has made it increasingly popular in the UK. • Following the success of Brusselicious, the Greek National Tourism Organisation in Belgium and SETE (the Association of Greek Tourism Enterprises) launched the initiative ‘gαΣtronoμία@Bruxelles’ in order to highlight the national kitchen. From 29 March to 2 May 2013 several well-known restaurants in Brussels will host a famous Greek chef for a couple of days, showcasing Greek dishes from various regions to Belgian clients. 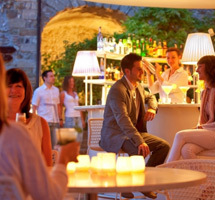 • Marcel Baltus of Baltus Communications wrote a blog post about the hotel industry titled: ‘Did you have a good night’s rest?’ This is exactly the question that should keep hotel owners up at night. The answer is not always positive. Click here to read all about Marcel’s hotel annoyances during his yearlong journey around the world. • The Guardian published a list of the world’s strangest hotels. Ever wanted to stay in Boeing 727 or a silver mine? 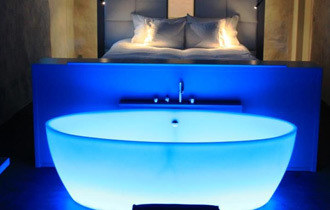 Always dreamt of sleeping in a Cadillac bed or under a waterfall? If so, you might want to check out this list. • As part of its Responsible Business programme, the Radisson Blu EU Hotel announced its partnership with Zen Car. Zen Car is a wholly new concept of green mobility: a 100% electric, silent and non-pollutant car. As from 1 March, hotel guests will have the opportunity to visit Brussels with the flexibility and mobility one can find in a car but with the advantage of respecting the environment. • Ryanair placed the largest plane order in European history. The Irish company signed a deal with Boeing to purchase no less than 175 next generation 737-800 airplanes. When finalised, the deal will be worth nearly $15.6 billion at current list prices, and will allow Ryanair to grow its airline to more than 400 airplanes, serving more than 100 million passengers per year across Europe by the end of the delivery stream in 2018. • Last year, Brussels Airlines transported almost 60,000 passengers more than in 2011. This makes for an increase of 1% to 5,784,125 passengers in total. The small decrease on the European network (-1,6%) was more than compensated by the growth on intercontinental flights (+11%). In the coming years, more flights to Africa and the US are planned. • Spanish low-fare carrier Vueling launches two new routes to Brussels this summer. As of 24 April, 5 flights per week leave to Alicante and 4 to Malaga (5 in high-summer). Initially, these routes are only meant for summer, but the ultimate goal is to keep them going during the entire year. • Times are tough. After a long and successful career in the incoming business in Belgium the DMC BITS, with GM Marc Dans, has been declared bankrupt. Marc was a real pioneer and deserves all the respect. 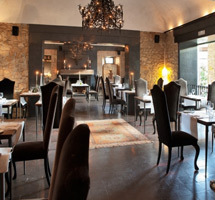 • Sandton Hotels Ghent is looking for a Junior Sales Executive living in the Brussels Area. 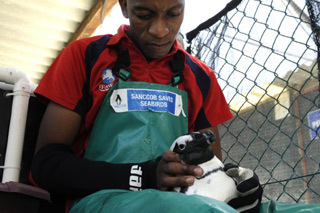 If you suit the profile, send your details to: nancy.vandenberghe@sandton.eu. • Not particularly funny, but very touching: the story of a gorilla raised by men and then released into the wild, who meets his keeper again after five long years. Try not to cry: www.youtube.com/watch_popup?v=FZ-bJFVJ2P0.